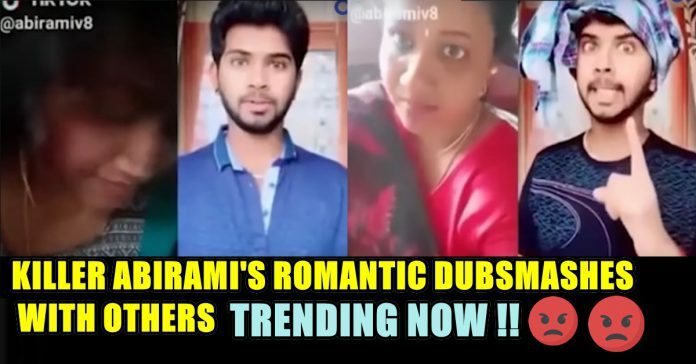 These Romantic Dubsmashes With Others Of Killer Abirami Trending Now & Its SHOCKING !! 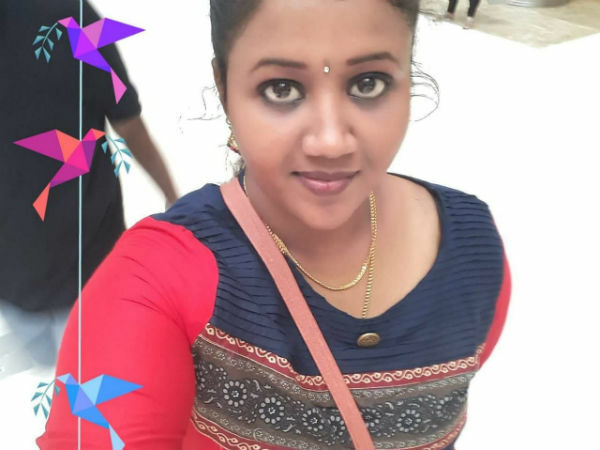 A special team of the city police nabbed this 25-year-old woman who allegedly killed her two children, aged 4 and 7, by poisoning them at Moondramkattalai, near Kundrathur, on Saturday. The police said Abirami’s husband Vijay, who works in a private bank, returned home on Saturday morning only to find their son and daughter dead. 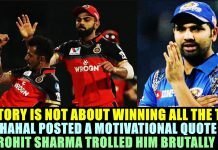 He immediately informed the Kundrathur police. The police sent the bodies to the Government General Hospital at Chromepet for post-mortem examination. Preliminary investigation revealed that Abirami had an extramarital affair with Sundaram, whom she met at a restaurant. Abhirami (25) lived with her husband Vijay (30), who works at a private bank and her children Ajay (7) and Karumila (5) on at Agastheeswarar Koil Street at Kundrathur here. On Friday, while her husband had gone to the office, she poisoned her children and eloped with her lover, Sundaram, who worked at a biriyani shop nearby. Now, during investigations, the video conversations of the woman with her lover, along with several filmy songs and dialogues, including that of Priya Prakash Warrier from the Malayalam film ‘Oru Adaar Love Story’ have begun circulating across social media, leaving viewers shocked and questioning the mental health of the woman. The duo planned to kill all three, including the husband and elope to Nagercoil. 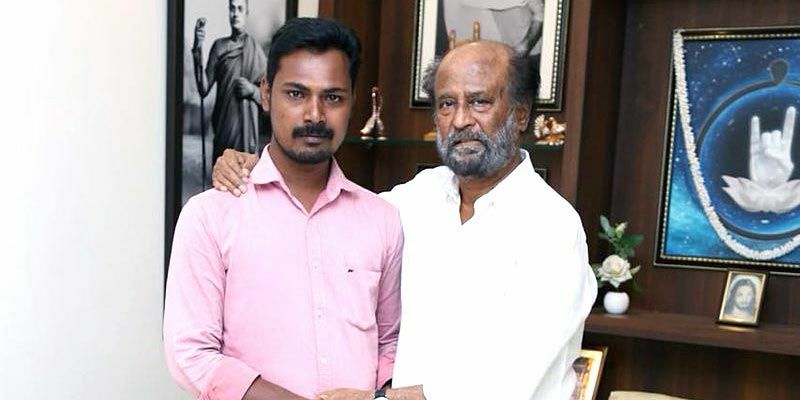 Vijayakumar, the husband, was invited to Rajinikanth’s residence where the actor expressed his condolences. Vijayakumar explained the unfortunate occurrence and was consoled by him, reports said. Now in Puzhal Jail where Abirami is in custody has been demanding for a separate jail to the Jailor as her Jailmates were torturing her to tell the story behind her. The first thing she said after stopped crying is “I have done sin”. On saying that she again started crying. Then Police officers approached her and said she don’t have to say anything if she doesn’t feel comfortable. Then Abhirami accepted to talk. Abhirami said “We stayed in a house that rented 3500 Rs. per month. My son Ajay 3 month old baby then. House owner sister who was very helpful kept and took care of Ajay most of the time. My mother also helped a lot as she lived nearby us. After seeing Sundaram in that popular hotel, our relationship became closer as he delivered food in our home itself. At first Vijay had not told anything but later he warned me for the way Me and Sundaram behaved. But I could not resist myself form having relationship Sundharam. I acted by his words, I have done those sins only to live with him peacefully” She said reported the lawyer. Now to our shock Musically videos of her with others Trending on Youtube at 18th place. Being cursed by the public, Abirami reportedly has more than 7000 followers. 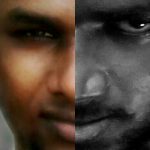 Previous articleVijay TV Edited A Promo For Tamizh Padam 2 Telecast !! The Original Editor Of The Movie SHOCKED !! Next article“Will You Host BIGG BOSS Tamil Season 3 ? 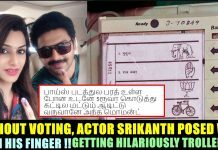 ?” Asked Host To Sivakarthikeyan !! 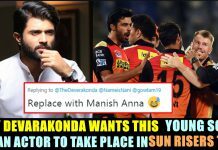 Check What He Replied ! !